I have never been so happy with any of my DIYs as this. Mustache-prints has been trending for quite sometime now and I had been craving for my own piece in these prints. This idea struck me one day on my way back from work while I was browsing through some of the “Mustachy” stuff on Google. 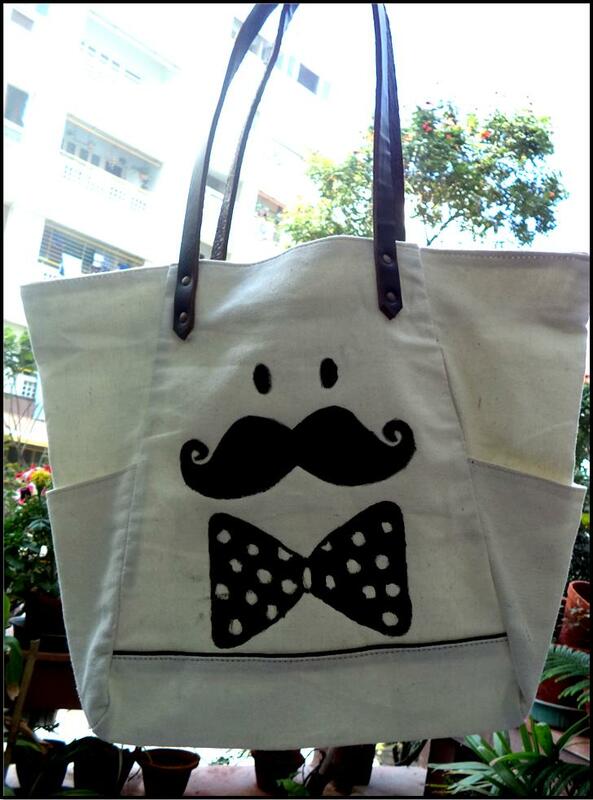 I wanted to make-over this pretty plain white jute bag that I got from Sbuys. And this is what I ended up with. Here is a step by step DIY of what I did. You can either get a printout and cut it out or you can make one yourself. To make one yourself, make sure the two sides are symmetrical. For that, fold a paper in two halves. 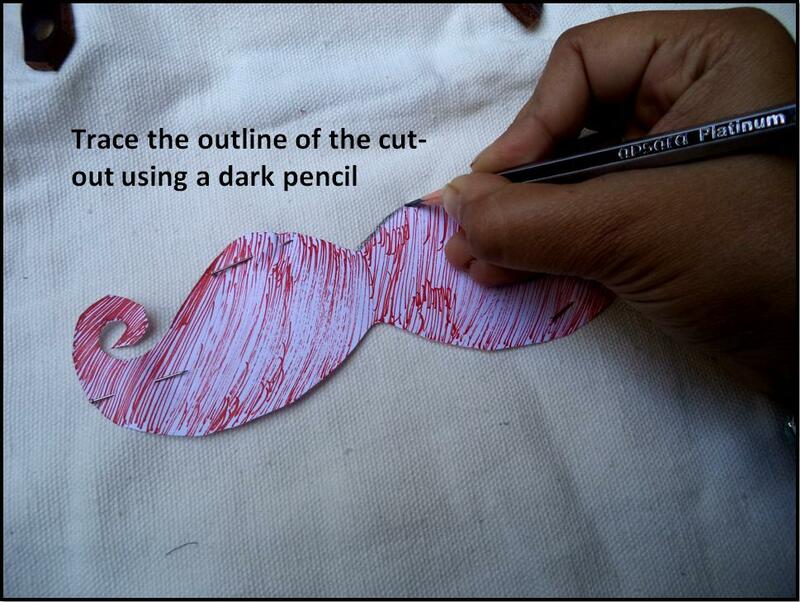 Draw half the Mustache/Bow-tie from the fold and cut out the shape from the fold. When you unfold, you get a symmetrical Mustache/Bow-tie. 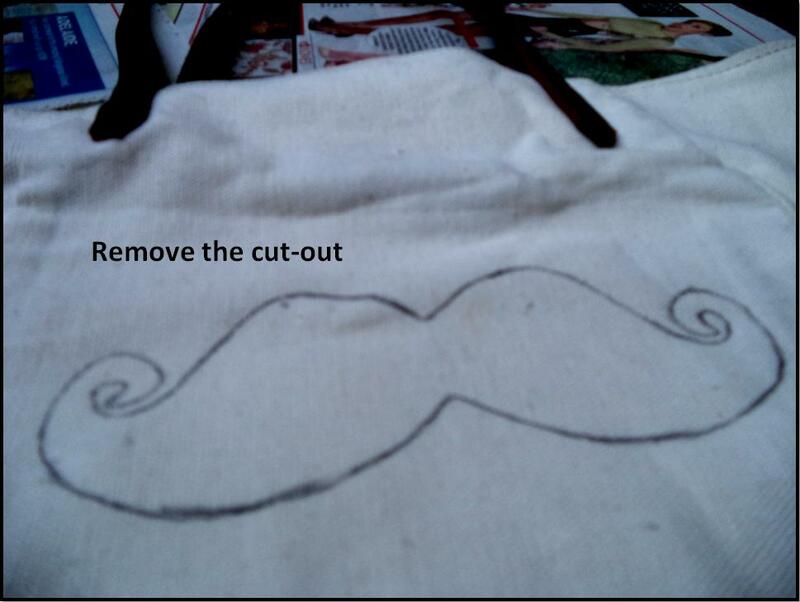 When I started off with this, I wanted to work with just Mustache and hence did not create a bow-tie cut-out. 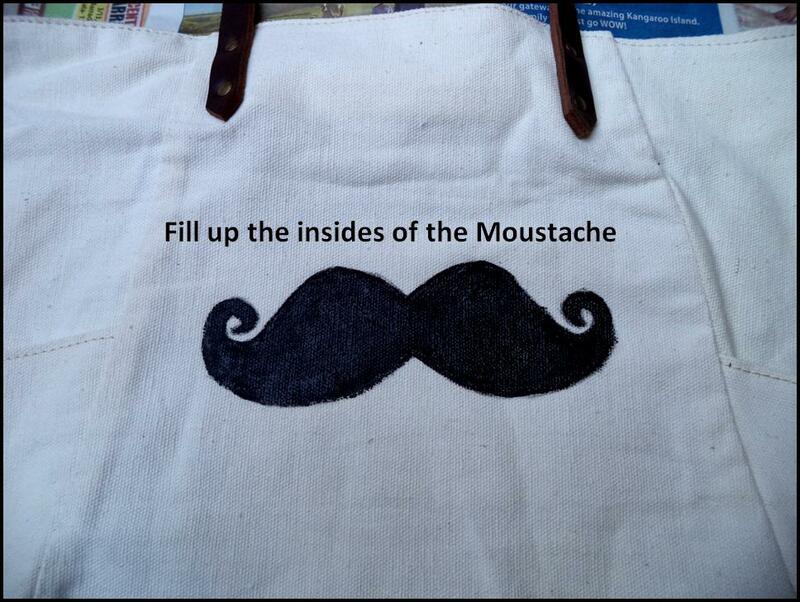 The mustache needs to be secured at the center of the bag using pins. The outline needs to be dark. Make sure you press the cut-out firmly on the bag while you do this. This Mustache needs to be filled. While painting the outline, keep to the inner side of the pencil outline to avoid spoiling the shape. 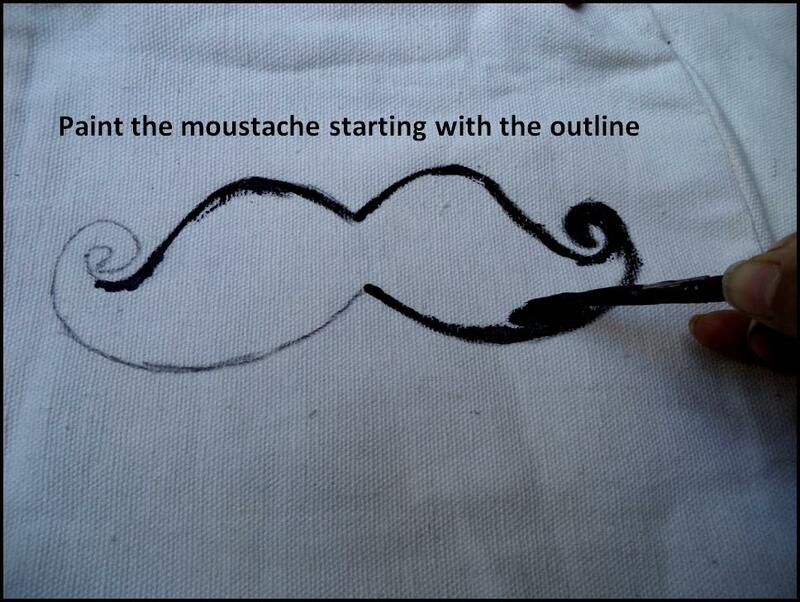 If you are not too confident, use a thinner brush for the outline. 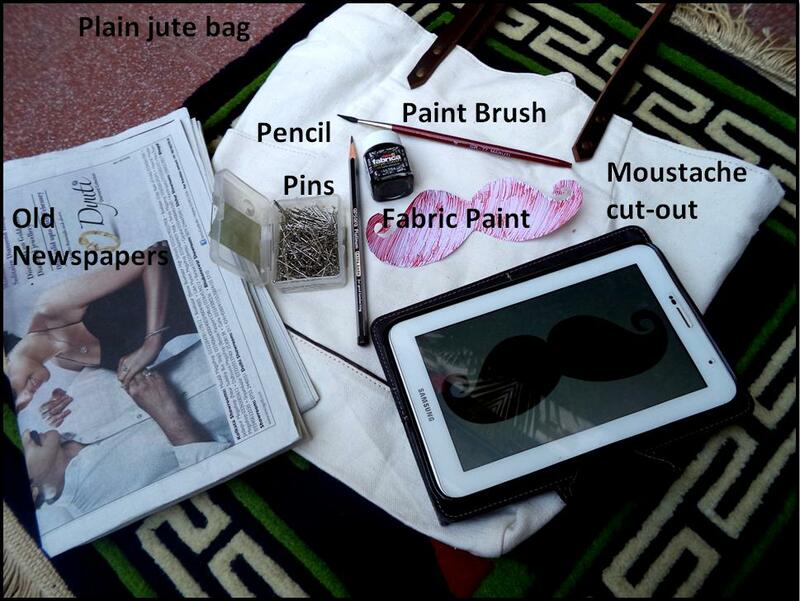 Make sure you insert newspapers in the bag to avoid the paint seeping to the other side. Once the mustache was done, I wasn’t too happy about the large number of empty spaces around it. 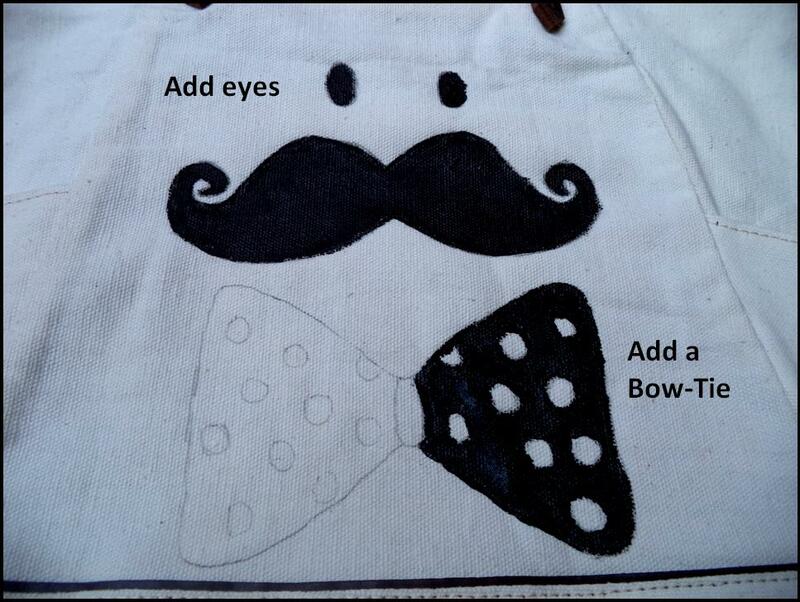 Hence, I decided to add eyes and a bow-tie. 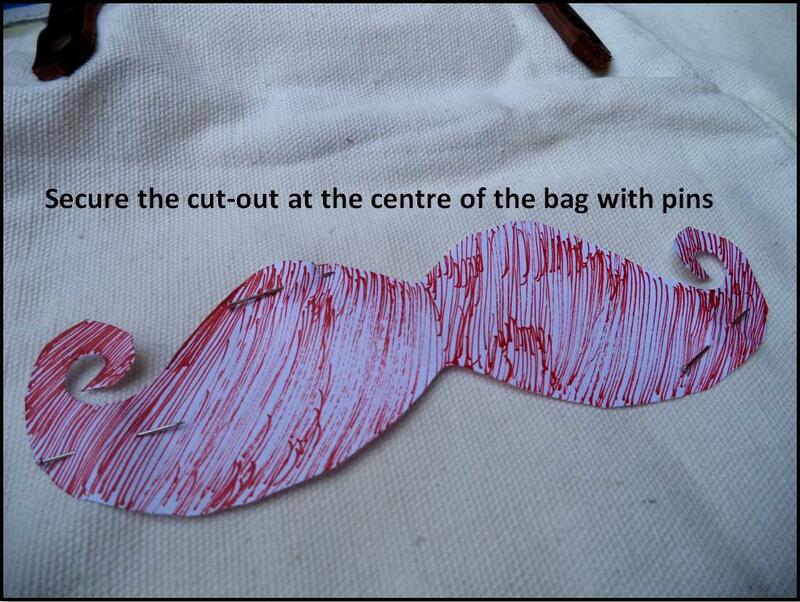 The bow-tie cut-out was made and the outline traced like that of the Mustache. I added polkas on the bow-tie and painted it. This time the polkas’ outlines were painted keeping slightly to the outside of the dots. This is my new quirky jute bag and I cannot wait to flaunt it! Do try this fun DIY and share with me how you liked it. I’ll be back with another post. Till then keep it gorgeous! Next Guest Post: 5 Easy Steps to Boost your Confidence! This is a cool DIY. I think you did great. Please post a photo of you wearing the bag. Thanks a lot Evelyn! I’ll do an outfit post soon!